Hypertension is highly prevalent and one of the major causes of burden of disease, particularly cardiovascular morbidity and mortality. Diabetes is increasing worldwide, and often is associated with hypertension; it puts hypertensive subjects at the highest cardiovascular risk. Both conditions are associated with vascular injury that serves as the major mechanism for cardiovascular events that lead to myocardial infarction, stroke, amputations, and renal failure. We have summarized here some of the pathways that participate in growth, inflammation, and oxidative stress that lead to atherosclerosis and vascular remodeling in hypertension and diabetes. PPAR-a and PPAR-y appear to act as countervailing influences on one of the major activators of the pathways that trigger vascular disease, the RAAS. Preclinical and clinical data suggest that PPAR-a and PPAR-y activators may exert important vascular protective effects. Although initial experience with agents endowed with combined PPAR-a and PPAR-y stimulatory effects has been disappointing, mechanistic evidence suggests that agents with these properties that are able to affect the deleterious intracellular signaling pathways described in this chapter may be developed eventually and successfully contribute to reducing the burden of disease generated by hypertension and diabetes. 1. Haffner SM, Lehto S, Ronnemaa T, Pyorala K, and Laakso M. Mortality from coronary heart disease in subjects with type 2 diabetes and in nondiabetic subjects with and without prior myocardial infarction. New Engl J Med 1998; 339: 229. 2. Schiffrin EL. Reactivity of small blood vessels in hypertension: relation with structural changes: state of the art lecture. Hypertension 1992; 19, Suppl:II1. 3. Schiffrin EL. Remodeling of resistance arteries in essential hypertension and effects of antihypertensive treatment. Am J Hypertens 2004; 17: 1192. 4. Heagerty AM, Aalkjaer C, Bund SJ, Korsgaard N, and Mulvany MJ. Small artery structure in hypertension: dual processes of remodeling and growth. Hypertension 1993; 21: 391. 5. Intengan HD, Deng LY, Li JS, and Schiffrin EL. Mechanics and composition of human subcutaneous resistance arteries in essential hypertension. Hypertension 1999; 33, Pt 2: 569. 6. Deng LY, Li JS, and Schiffrin EL. Endothelium-dependent relaxation of small arteries from essential hypertensive patients: mechanisms and comparison with normotensive subjects and with responses of vessels from spontaneously hypertensive rats. Clin Sci 1995; 88: 611. 7. Rizzoni D et al. Structural alterations in subcutaneous small arteries of normo-tensive and hypertensive patients with non-insulin-dependent diabetes mellitus. Circulation 2001; 103: 1238. 8. Endemann DH et al. Persistent remodeling of resistance arteries in type 2 diabetic patients on antihypertensive treatment. Hypertension 2004; 43: 399. 9. Rizzoni D et al. Endothelial dysfunction in small resistance arteries of patients with non-insulin-dependent diabetes mellitus. J Hypertens 2001; 19: 913. 10. United Kingdom Prospective Diabetes Study Group. Tight blood pressure control and risk of macrovascular and microvascular complications in type 2 diabetes. Br Med J 1998; 317: 703. 11. Dzau VJ. Theodore Cooper Lecture: tissue angiotensin and pathobiology of vascular disease: a unifying hypothesis. Hypertension 2001; 37: 1047. Touyz RM and Schiffrin EL. Signal transduction mechanisms mediating the physiological and pathophysiological actions of angiotensin II in vascular smooth muscle cells. Pharmacol Rev 2000; 52: 639. Diep QN et al. Structure, endothelial function, cell growth, and inflammation in blood vessels of angiotensin II-infused rats: role of peroxisome proliferator-acti-vated receptor-y Circulation 2002; 105: 2296. Benkirane K, Viel EC, Amiri F, and Schiffrin EL. Peroxisome proliferator-acti-vated receptor y regulates angiotensin II-stimulated phosphatidylinositol 3-kinase and mitogen-activated protein kinase in blood vessels in vivo. Hypertension 2006; 47: 102. Diep QN, Amiri F, Benkirane K, Paradis P, and Schiffrin EL. Long-term effects of the PPARgamma activator pioglitazone on cardiac inflammation in stroke-prone spontaneously hypertensive rats. Can J Physiol Pharmacol 2004; 82: 976. Iglarz M, Touyz RM, Amiri F, Lavoie MF, Diep QN, and Schiffrin EL. Effect of peroxisome proliferator-activated receptor-a and -y activators on vascular remodeling in endothelin-dependent hypertension. Arterioscler Thromb Vasc Biol 2003; 23: 45. Sidhu JS, Kaposzta Z, Markus HS, and Kaski JC. Effect of rosiglitazone on common carotid intima-media thickness progression in coronary artery disease patients without diabetes mellitus. Arterioscler Thromb Vasc Biol 2004; 24: 930. Wang TD, Chen WJ, Lin JW, Chen MF, and Lee YT. Effects of rosiglitazone on endothelial function, C-reactive protein, and components of the metabolic syndrome in nondiabetic patients with the metabolic syndrome. Am J Cardiol 2004; 93: 362. Haffner SM, Greenberg AS, Weston WM, Chen H, Williams K, and Freed MI. Effect of rosiglitazone treatment on nontraditional markers of cardiovascular disease in patients with type 2 diabetes mellitus. Circulation 2002; 106: 679. Schiffrin EL. Peroxisome proliferator-activated receptors and cardiovascular remodeling. Am J Physiol Heart Circ Physiol 2005; 288: H1037. Berger J and Moller DE. The mechanisms of action of PPARs. Annu Rev Med 2002; 53: 409. Touyz RM and Schiffrin EL. Reactive oxygen species in vascular biology: implications in hypertension. Histochem Cell Biol 2004; 122: 339. Robinson MJ and Cobb MH. Mitogen-activated protein kinase pathways. Curr Opin Cell Biol 1997; 9: 180. Touyz RM, He G, Deng LY, and Schiffrin EL. Role of extracellular signalregulated kinases in angiotensin II-stimulated contraction of smooth muscle cells from human resistance arteries. Circulation 1999; 99: 392. Touyz RM, He G, El Mabrouk M, Diep Q, Mardigyan V, and Schiffrin EL. Differential activation of extracellular signal-regulated protein kinase 1/2 and p38 mitogen-activated protein kinase by AT1 receptors in vascular smooth muscle cells from Wistar-Kyoto rats and spontaneously hypertensive rats. J Hypertens 2001; 19: 553. Pearson G et al. Mitogen-activated protein (MAP) kinase pathways: regulation and physiological functions. Endocr Rev 2001; 22: 153. Yang SH, Sharrocks AD, and Whitmarsh AJ. Transcriptional regulation by the MAP kinase signaling cascades. Gene 2003; 320: 3. Fiebeler A and Haller H. Participation of the mineralocorticoid receptor in cardiac and vascular remodeling. Nephron Physiol 2003; 94: 47. 29. El Mabrouk M, Touyz RM, and Schiffrin EL. Differential ANG II-induced growth activation pathways in mesenteric artery smooth muscle cells from SHR. Am J Physiol Heart Circ Physiol 2001; 281: H30. 30. Kohlstedt K and Busse R, Fleming I. Signaling via the angiotensin-converting enzyme enhances the expression of cyclooxygenase-2 in endothelial cells. Hypertension 2005; 45: 126. 31. Kintscher U et al. Angiotensin II induces migration and Pyk2/paxillin phosphorylation of human monocytes. Hypertension 2001; 37: 587. 32. Touyz RM. Recent advances in intracellular signalling in hypertension. Curr Opin Nephrol Hypertens 2003; 12: 165. 33. Kim J et al. Mitogen-activated protein kinase contributes to elevated basal tone in aortic smooth muscle from hypertensive rats. Eur J Pharmacol 2005; 514: 209. 34. Rice KM, Kinnard RS, Harris R, Wright GL, and Blough ER. Effects of aging on pressure-induced MAPK activation in the rat aorta. Pflugers Arch 2005; 450: 192. 35. Zhang B et al. Insulin- and mitogen-activated protein kinase-mediated phosphorylation and activation of peroxisome proliferator-activated receptor gamma. J Biol Chem 1996; 271: 31771. 36. Verlohren S et al. Visceral periadventitial adipose tissue regulates arterial tone of mesenteric arteries. Hypertension 2004; 44: 271. 37. Rao GN, Alexander RW, and Runge MS. Linoleic acid and its metabolites, hydro-peroxyoctadecadienoic acids, stimulate c-Fos, c-Jun, and c-Myc mRNA expression, mitogen-activated protein kinase activation, and growth in rat aortic smooth muscle cells. J Clin Invest 1995; 96: 842. 38. Teruel T, Hernandez R, Benito M, and Lorenzo M. Rosiglitazone and retinoic acid induce uncoupling protein-1 (UCP-1) in a p38 mitogen-activated protein kinase-dependent manner in fetal primary brown adipocytes. J Biol Chem 2003; 278: 263. 39. McMullen ME, Bryant PW, Glembotski CC, Vincent PA, and Pumiglia KM. Activation of p38 has opposing effects on the proliferation and migration of endothelial cells. J Biol Chem 2005; 280: 20995. 40. Ushio-Fukai M, Alexander RW, Akers M, and Griendling KK. p38 Mitogen-activated protein kinase is a critical component of the redox-sensitive signaling pathways activated by angiotensin II: role in vascular smooth muscle cell hypertrophy. J Biol Chem 1998; 273: 15022. 41. Meloche S, Landry J, Huot J, Houle F, Marceau F, and Giasson E. p38 MAP kinase pathway regulates angiotensin II-induced contraction of rat vascular smooth muscle. Am J Physiol Heart Circ Physiol 2000; 279: H741. 42. Touyz RM, He G, El Mabrouk M, and Schiffrin EL. p38 Map kinase regulates vascular smooth muscle cell collagen synthesis by angiotensin II in SHR but not in WKY. Hypertension 2001; 37: 574. 43. Sugawara A, Takeuchi K, Uruno A, Kudo M, Sato K, and Ito S. Effects of mitogen-activated protein kinase pathway and co-activator CREP-binding protein on per-oxisome proliferator-activated receptor-gamma-mediated transcription suppression of angiotensin II type 1 receptor gene. Hypertens Res 2003; 26: 623. 44. Diep QN, Touyz RM, and Schiffrin EL. Docosahexaenoic acid, a peroxisome proliferator-activated receptor-alpha ligand, induces apoptosis in vascular smooth muscle cells by stimulation of p38 mitogen-activated protein kinase. Hypertension 2000; 36: 851. Lennon AM, Ramauge M, Dessouroux A, and Pierre M. MAP kinase cascades are activated in astrocytes and preadipocytes by 15-deoxy-delta(12-14)-prosta-glandin J(2) and the thiazolidinedione ciglitazone through peroxisome proliferator activator receptor gamma-independent mechanisms involving reactive oxygenated species. J Biol Chem 2002; 277: 29681. Gardner OS, Shiau CW, Chen CS, and Graves LM. Peroxisome proliferator-activated receptor gamma-independent activation of p38 MAPK by thiazolidinedi-ones involves calcium/calmodulin-dependent protein kinase II and protein kinase R: correlation with endoplasmic reticulum stress. J Biol Chem 2005; 280: 10109. Hsueh WA and Law RE. PPAR- and atherosclerosis: effects on cell growth and movement. Arterioscler Thromb Vasc Biol 2001; 21: 1891. Diradourian C, Girard J, and Pegorier JP. Phosphorylation of PPARs: from molecular characterization to physiological relevance. Biochimie 2005; 87: 33. Liao DF, Monia B, Dean N, and Berk BC. Protein kinase C-zeta mediates angiotensin II activation of ERK1/2 in vascular smooth muscle cells. J Biol Chem 1997; 272: 6146. Murasawa S et al. Angiotensin II initiates tyrosine kinase Pyk2-dependent signalings leading to activation of Rac1-mediated c-Jun NH2-terminal kinase. J Biol Chem 2000; 275: 26856. Rocic P, Govindarajan G, Sabri A, and Lucchesi PA. A role for PYK2 in regulation of ERK1/2 MAP kinases and PI 3-kinase by ANG II in vascular smooth muscle. Am J Physiol Cell Physiol 2001; 280: C90. Anderson KE and Jackson SP. Class I phosphoinositide 3-kinases. Int J Biochem Cell Biol 2003; 35: 1028. Oudit GY et al. The role of phosphoinositide-3 kinase and PTEN in cardiovascular physiology and disease. J Mol Cell Cardiol 2004; 37: 449. Hafizi S, Wang X, Chester AH, Yacoub MH, and Proud CG. ANG II activates effectors of mTOR via PI3-K signaling in human coronary smooth muscle cells. Am J Physiol Heart Circ Physiol 2004; 287: H1232. Budzyn K, Marley PD, and Sobey CG. Opposing roles of endothelial and smooth muscle phosphatidylinositol 3-kinase in vasoconstriction: effects of rho-kinase and hypertension. J Pharmacol Exp Ther 2005; 313: 1248. Andreozzi F, Laratta E, Sciacqua A, Perticone F, and Sesti G. Angiotensin II impairs the insulin signaling pathway promoting production of nitric oxide by inducing phosphorylation of insulin receptor substrate-1 on Ser312 and Ser616 in human umbilical vein endothelial cells. Circ Res 2004; 94: 1211. Rieusset J et al. The expression of the p85alpha subunit of phosphatidylinositol 3-kinase is induced by activation of the peroxisome proliferator-activated receptor gamma in human adipocytes. Diabetologia 2001; 44: 544. Rieusset J, Roques M, Bouzakri K, Chevillotte E, and Vidal H. Regulation of p85-alpha phosphatidylinositol-3-kinase expression by peroxisome proliferator-acti-vated receptors (PPARs) in human muscle cells. FEBS Lett 2001; 502: 98. Dong LQ and Liu F. PDK2: the missing piece in the receptor tyrosine kinase signaling pathway puzzle. Am J Physiol Endocrinol Metab 2005; 289: E187. Shiojima I and Walsh K. Role of Akt signaling in vascular homeostasis and angiogenesis. Circ Res 2002; 90: 1243. Shioi T et al. Akt/protein kinase B promotes organ growth in transgenic mice. Mol Cell Biol 2002; 22: 2799. 62. Li F, Zhang C, Schaefer S, Estes A, and Malik KU. ANG II-induced neointimal growth is mediated via c. Am J Physiol Heart Circ Physiol 2005; 289: H2592. 63. Ohashi H et al. Phosphatidylinositol 3-kinase/Akt regulates angiotensin II-induced inhibition of apoptosis in microvascular endothelial cells by governing survivin expression and suppression of caspase-3 activity. Circ Res 2004; 94: 785. 64. Benkirane K, Amiri F, Diep QN, El Mabrouk M, and Schiffrin EL. PPAR-y inhibits ANG II-induced cell growth via SHIP2 and 4E-BP1. Am J Physiol Heart Circ Physiol 2006; 290: H390. 65. Griendling KK, Sorescu D, Lassegue B, and Ushio-Fukai M. Modulation of protein kinase activity and gene expression by reactive oxygen species and their role in vascular physiology and pathophysiology. Arterioscler Thromb Vasc Biol 2000; 20: 2175. 66. Paravicini TM, and Touyz RM. Redox signaling in hypertension. Cardiovasc Res 2006; 71: 247. 67. Rajagopalan S et al. Angiotensin II-mediated hypertension in the rat increases vascular superoxide production via membrane NADH/NADPH oxidase activation: contribution to alterations of vasomotor tone. J Clin Invest 1996; 97: 1916. 68. Muijsers RB, Folkerts G, Henricks PA, Sadeghi-Hashjin G, and Nijkamp FP. Peroxynitrite: a two-faced metabolite of nitric oxide. Life Sci 1997; 60: 1833. 69. Park JB, Touyz RM, Chen X, and Schiffrin EL. Chronic treatment with a superoxide dismutase mimetic prevents vascular remodeling and progression of hypertension in salt-loaded stroke-prone spontaneously hypertensive rats. Am J Hypertens 2002; 15: 78. 70. Rey FE, Cifuentes ME, Kiarash A, Quinn MT, and Pagano PJ. Novel competitive inhibitor of NAD(P)H oxidase assembly attenuates vascular O2- and systolic blood pressure in mice. Circ Res 2001; 89: 408. 71. Touyz RM, Yao G, Viel E, Amiri F., and Schiffrin EL. Angiotensin II and endot-helin-1 regulate MAP kinases through different redox-dependent mechanisms in human vascular smooth muscle cells. J Hypertens 2004; 22: 1141. 72. Torrecillas G et al. The role of hydrogen peroxide in the contractile response to angiotensin II. Mol Pharmacol 2001; 59: 104. 73. Browatzki M et al. Angiotensin II stimulates matrix metalloproteinase secretion in human vascular smooth muscle cells via nuclear factor-kappaB and activator protein 1 in a redox-sensitive manner. J Vasc Res 2005; 42: 415. 74. Diep QN, Amiri F, Touyz RM, Cohn JS, Endemann D, Neves MF, and Schiffrin EL. PPAR-a activator effects on Ang II-induced vascular oxidative stress and inflammation. Hypertension 2002; 40: 866. 75. Savoia C and Schiffrin EL. Inflammation in hypertension. Curr Opin Nephrol Hypertens 2006; 15(2):152-158. 76. Victorino GP, Newton CR, and Curran B. Effect of angiotensin II on microvascular permeability. J Surg Res 2002; 104: 77. 77. Grafe M et al. Angiotensin II-induced leukocyte adhesion on human coronary endothelial cells is mediated by E-selectin. Circ Res 1997; 81: 804. 78. Pueyo ME et al. Angiotensin II stimulates endothelial vascular cell adhesion molecule-1 via nuclear factor-KB activation induced by intracellular oxidative stress. Arterioscler Thromb Vasc Biol 2000; 20: 645. 79. Cheng ZJ, Vapaatalo H, and Mervaala E. Angiotensin II and vascular inflammation. Med Sci Monit 2005; 11: RA194. 80. Moraes LA, Piqueras L, and Bishop-Bailey D. Peroxisome proliferator-activated receptors and inflammation. Pharmacol Ther 2006; 110: 371. 81. Forman BM, Chen J, and Evans RM. Hypolipidemic drugs, polyunsaturated fatty acids, and eicosanoids are ligands for peroxisome proliferator-activated receptors a and 5. Proc Natl Acad Sci USA 1997; 94: 4312. 82. Hu ZW, Kerb R, Shi XY, Wei-Lavery T, and Hoffman BB. Angiotensin II increases expression of cyclooxygenase-2: implications for the function of vascular smooth muscle cells. J Pharmacol Exp Ther 2002; 303: 563. 83. Delerive P et al. Peroxisome proliferator-activated receptor a negatively regulates the vascular inflammatory gene response by negative cross-talk with transcription factors NF-kB and AP-1. J Biol Chem 1999; 274: 32048. 84. Staels B et al. Activation of human aortic smooth-muscle cells is inhibited by PPAR- but not by PPAR- activators. Nature 1998; 393: 790. 85. Martens FM et al. Metabolic and additional vascular effects of thiazolidinediones. Drugs 2002; 62: 1463. 86. Hwang J et al. Peroxisome proliferator-activated receptor-y ligands regulate endothelial membrane superoxide production. Am J Physiol Cell Physiol 2005; 288: C899. 87. Lohray BB et al. (-)3-[4-[2-(Phenoxazin-10-yl)ethoxy]phenyl]-2-ethoxypropanoic acid [(-)DRF 2725]: a dual PPAR agonist with potent antihyperglycemic and lipid modulating activity. J Med Chem 2001; 44: 2675. 88. Etgen GJ et al. 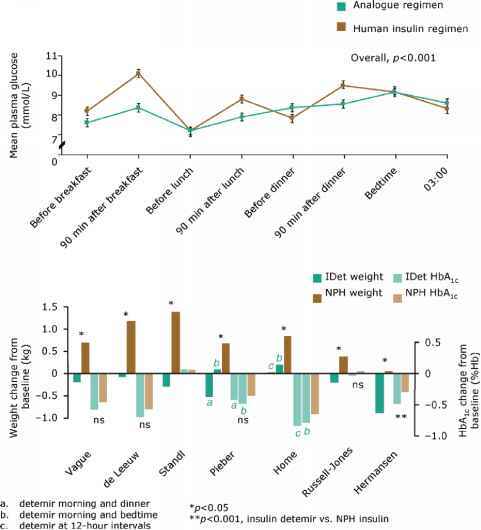 A tailored therapy for the metabolic syndrome: the dual peroxisome proliferator-activated receptor-alpha/gamma agonist LY465608 ameliorates insulin resistance and diabetic hyperglycemia while improving cardiovascular risk factors in preclinical models. Diabetes 2002; 51: 1083. 89. Mamnoor PK et al. Antihypertensive effect of ragaglitazar: a novel PPARa and y dual activator. Pharmacol Res 2006; 54: 129. 90. Harrity T et al. Muraglitazar, a novel dual (a/y) peroxisome proliferator-activated receptor, improves diabetes and other metabolic abnormalities and perserves beta-cell function in db/db mice. Diabetes 2006; 55: 240. 91. Nissen SE, Wolski K, and Topol EJ. Effect of muraglitazar on death and major adverse cardiovascular events in patients with type 2 diabetes mellitus. JAMA 2005; 294: 2581. 92. Seber S, Ucak S, Basat O, and Altuntas Y. The effect of dual PPAR a/y stimulation with combination of rosiglitazone and fenofibrate on metabolic parameters in type 2 diabetic patients. Diabetes Res Clin Pract 2006; 71: 52.